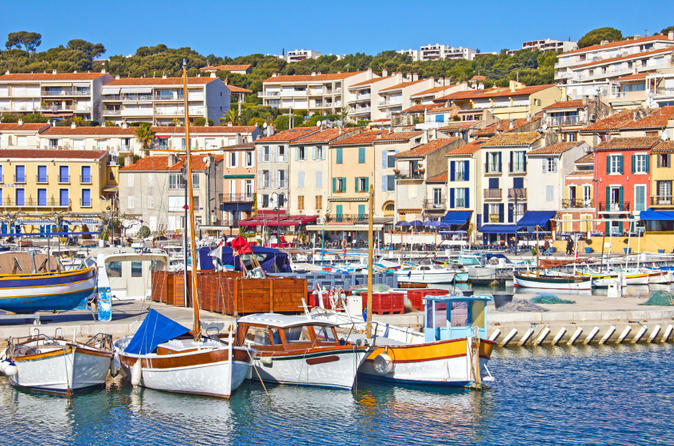 Discover the delights of Provence on this full-day tour from Marseille, and enjoy scenic countryside, heritage and history, and fine wines! With an expert local guide, you’ll travel by minivan into the heart of this beautiful region. 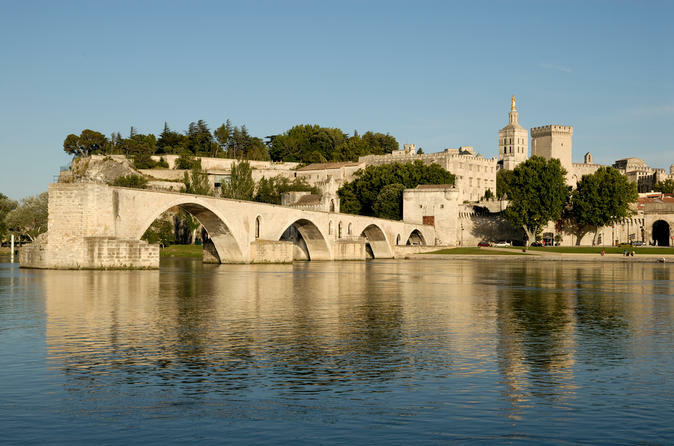 Explore Avignon, the City of Popes, on a walking tour and see the eye-catching Popes' Palace. Visit the castle ruins near the village of Châteauneuf-du-Pape and sample the area's famously well-bodied wines in a wine cellar nearby, and then spend time at leisure relaxing in pretty Les Baux de Provence village. Numbers are limited to eight on this small-group tour ensuring you’ll see the best of Provence with personalized attention from your guide. 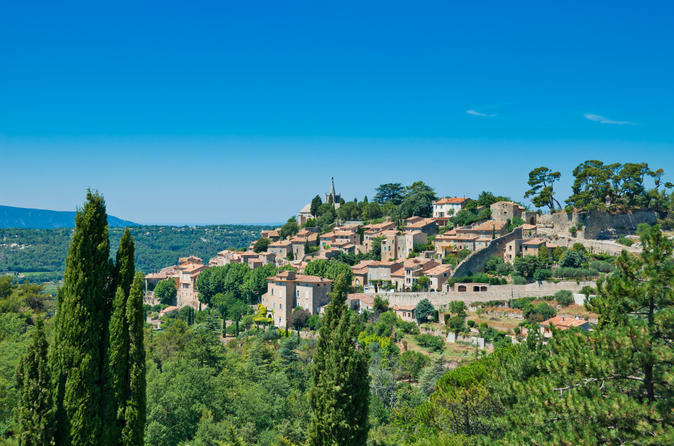 Explore picturesque medieval villages deep in the Provençal countryside on this 9-hour tour through the Luberon region from Marseille. Travel by minivan with your guide to the Luberon villages of l'Isle-sur-la-Sorgue, Lourmarin and Gorges. Wander through the bustling open-air markets of Bonnieux or Roussillon and perhaps browse the stalls for souvenirs. Learn how lavender — the symbol of Provence — is transformed into luxurious essential oils and beauty products and, in the summer, make a photo stop at Sénanque Abbey to admire Provence’s beautiful lavender fields in full bloom. 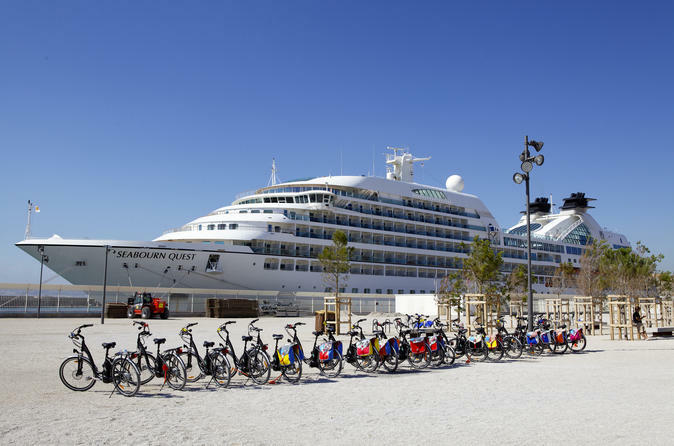 Specially designed for cruise passengers, this tour will show you the best of Marseille with free pick up and drop off from Marseille cruise terminal. You will see the main highlights of the city: the Mucem (museum) area, the old port, the Pharo Palace, the Vallon des Auffes, the corniche Kennedy, Notre Dame de la Garde basilica and the new Joliette district (Docks Village, Terrasses du port with a lot of shops). You will also take some alleys and places which only the inhabitants of Marseille know. And thanks to your electric bike, you will have less effort to make. 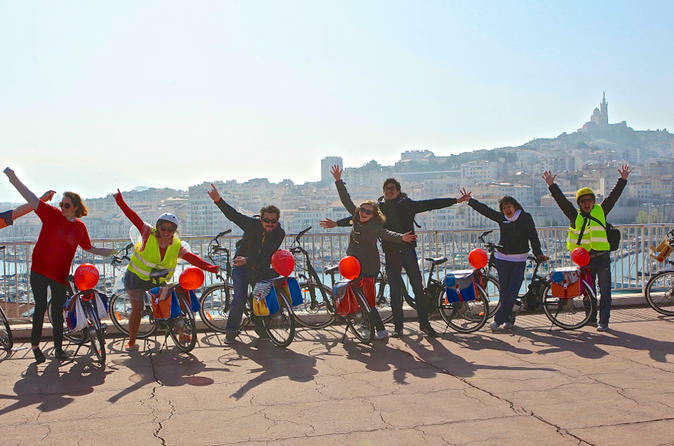 Discover the best of Marseille during your time in port by visiting sights such as Palais du Pharo (Pharo Palace) and Notre-Dame de la Garde by electric bike. 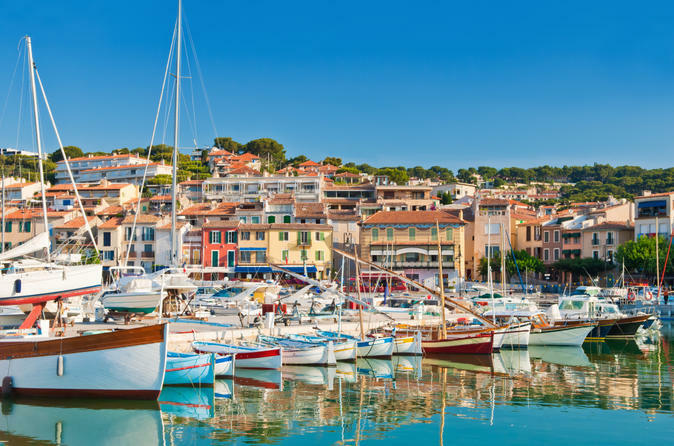 This private shore excursion connects you with a local guide who will tell you about Marseille’s colorful history as one of Europe’s oldest cities. Find hidden areas only locals know about, visit top Marseille attractions and admire postcard-worthy views of the Mediterranean Sea. Seeing it all by way of a safe, easy-to-use electric bike lets you maximize your sightseeing experience. 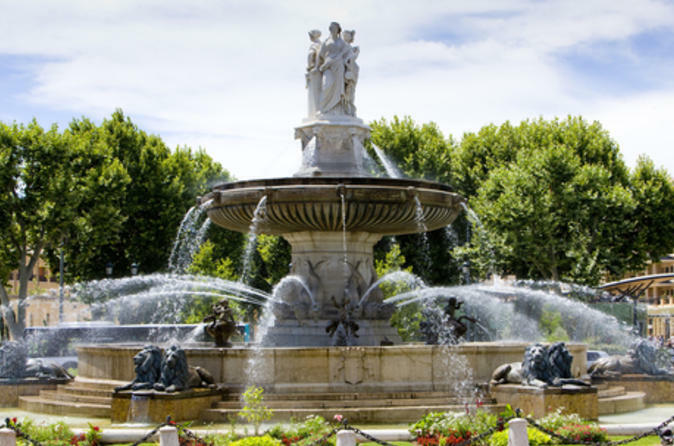 Explore the delightful Provençal town of Aix en Provence on this 4-hour tour from Marseille. Travel by air-conditioned vehicle from Marseille to Aix. Stroll the tree-lined Cours Mirabeau with your guide and enjoy fine views of the 17th- and 18th-century private mansions that line the way. Discover Cardeurs Square and the Fountain of the Four Dolphins, and explore at your leisure. Visit Cézanne’s art studio and join a painting workshop (payable separately,) before returning to Marseille. 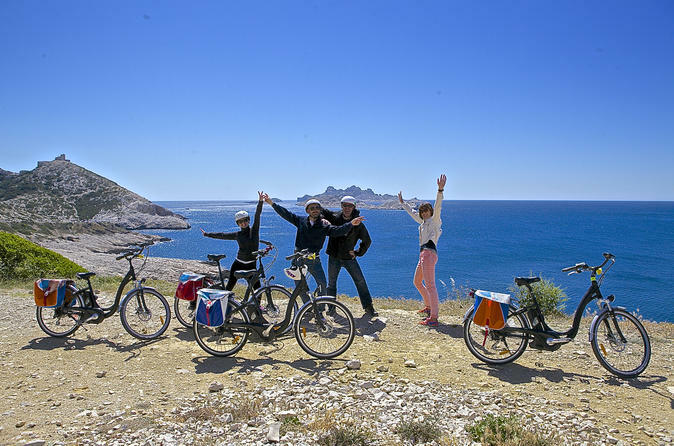 Discover Marseille and Cassis, two highlights of the French Riviera, on this half-day tour with a private guide. Setting off from Marseille, you'll pass along the picturesque Corniche des Crêtes road before stopping for views of the Côte d'Azur from Cape Canailles. Spend time exploring Cassis and hop aboard a sightseeing cruise boat if you wish to see three of the famous Cassis calanques (rock formations) before returning to Marseille for a sightseeing tour. See top attractions like Notre-Dame de la Garde, Abbey of St Victor and more! 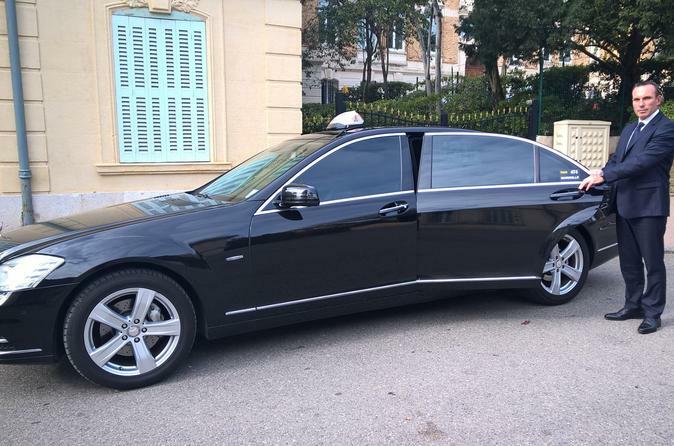 Enjoy a private tour around Marseille and the beautiful Provence area in a comfortable luxury car. Take this opportunity to discover the provençal lifestyle and learn from your your driver/guide's local knowledge about the area and its landscape, food and wine. Make the perfect use of your time in port in Marseille by uncovering the magnificent Aix-en-Provence on this shore excursion! 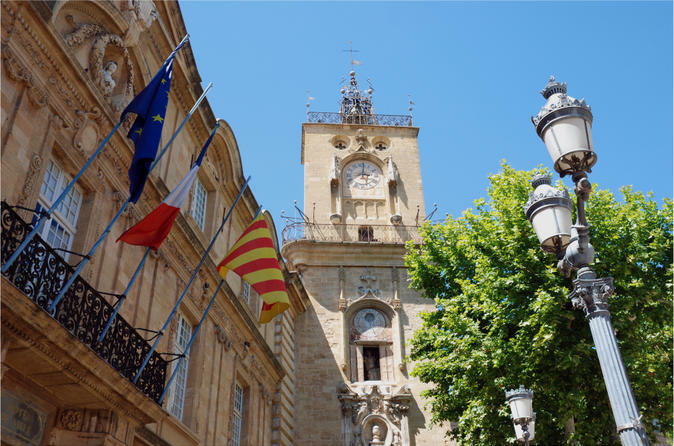 Located about 30 minutes north of Marseille, Aix-en-Provence shows its true beauty with unique and colorful fountains, facades, and spectacular plane trees. Tour the city with your expert guide and learn about the city's different eras and cultures. 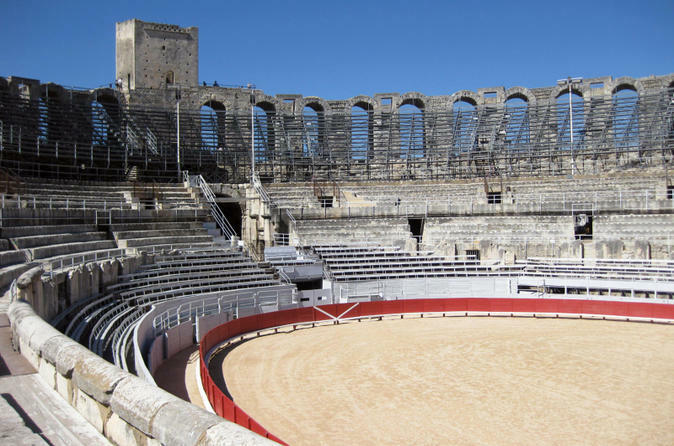 Explore the UNESCO-listed city of Arles and relax in Les Baux de Provence on this full-day private tour from Marseille! After a walking tour of Arles that includes city highlights like Café Van Gogh and Arles Amphitheatre, you’ll have the afternoon to spend at leisure in the stunning cliff-top village of Les Baux de Provence.